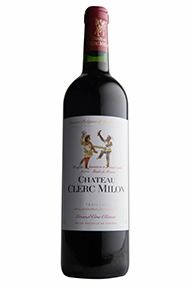 Château Clerc Milon, a 5th Growth Pauillac estate remained in obscurity until its acquisition by Baron Philippe de Rothschild in 1970. The château, which in reality is no more than a small, rather plain-looking house, is located in the small hamlet of Mousset, in the north of Pauillac. Clerc Milon's 32 hectares of vineyards are located on a gravel ridge between the vineyards of Mouton-Rothschild and Lafite-Rothschild. 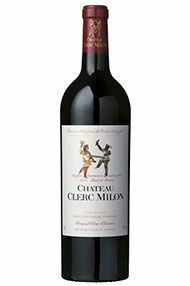 Clerc Milon's wine is a blend of 70% Cabernet Sauvignon, 20% Merlot and 10% Cabernet Franc. It is matured in oak casks (30% new) for 18 months. 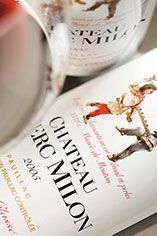 Clerc Milon is now owned by Baronne Philipine de Rothschild, with Patrick Léon as managing and technical director. The wine is lighter in style and more forward than Mouton - it does not require the extended cellaring that is mandatory for Mouton and can be approached 5-7 years after the vintage. A notable bargain amongst Pauillac classed growths. This wine is elegant, fine, rich, beautifully-textured and bursting with cassis, blackcurrants and intensity. The instant explosion of flavour is utterly compelling here. After several years in barrel this should add in intensity, age gracefully and develop complex, multi-layered fruit. 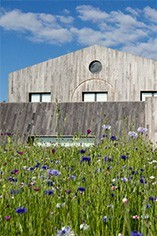 It showcases all the hallmarks of the great Ch. Mouton Rothschild stable and could be punching above its weight this year. It will be a real treat to enjoy in several years’ time. This underrated estate, located next to two First Growths, Mouton and Lafite, is lovely and forward, and very easy to appreciate. With sweet lush fruit, the wine is fine, rich and shows a lovely texture. It bursts with cassis, blackcurrants and a brooding intensity. After several years in barrel, it should age gracefully and develop the fruit, which appears with some complexity. Hints of minerality shine through on the finish. It will be a real treat to enjoy in several years’ time. This underrated estate, located next to two First Growths, Mouton and Lafite, is the most forward and easy to appreciate of the Baroness Philippine properties. But alongside its sweet lush fruit and exotic crowd-pleasing style is some real Pauillac grip and substantial tannins and structure. Like the d'Armailhac, this has real life and energy to it but the fruit is more minerally and concentrated and the wine is more serious. Made from 48% Cabernet Sauvignon and 40% Merlot this is one of the sleepers of the vintage. This is the wine you taste just before Mouton-Rothschild itself - but this is by no means a Freddo to the Godfather’s mighty Don Corleone. In fact, it’s far more Sonny: masculine, cool and defined. It is a fraction of the price of its big brother and is as good, if not better, than the brilliant 1990. Try it in bottles and magnums if possible; it will be an offer you can't refuse! Belonging to the Mouton stable, and with a prestigious location right next to both Mouton and Lafite, Ch. Clerc Milon is a fresher, lighter style of 2008 which has a delicious hint of creamy raspberry fruit to the more classic blackcurrant backbone. Fine with exceptionally fine tannins this has a lovely rounded finish with more than a hint of the savoury minerality of the vintage. Ch. 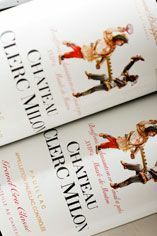 Clerc-Milon is more masculine and serious than its stablemate Ch. d’Armailhac this year. Showing a menthol, redcurrant bramble note on the nose, it also has a lovely mocha edge from the oak that adds complexity. The palate has a weight of fruit and flesh that so many wines in the Médoc seem to be lacking, while the tannins are fine with a sweetness that really adds to the mouthfeel. Plump, multi-layered fruit is joined by a lovely spicy edge to the creamy oak on the finish. It is certainly one of the better wines in Pauillac this year. This sits in the glass with a dark, inky colour. It has intense, ripe aromas of liquorice and pepper. Dense and creamy on the palate, the mouth is coated with flavours of blackberry and bilberry with fine tannins and spicy oak. The finish is dense with notes of dark chocolate. With red berry and strawberry fruit on the nose, this wine is a touch more open and inviting than the Armailhac. With a lovely textural mouthfeel, it is open and giving on the strong and richly fruited mid palate, with red berry and cassis fruit, and good length. Juicy and rather attractive, it is open and yet still fresh. Classy, generous and very good.